Get $35 free from DraftKings Casino today! The newest mobile casino you can latch on to for an outstanding gaming experience is DraftKings mobile casino. This mobile-first casino comes with an amazing interface, graphics, and animations of the best quality, plus good payment options and customer support, which is available 24/7 through live chat and phone. The NJ gambling site carries the same name as one of the biggest daily fantasy sports (DFS) sites in the US: DraftKings. The DFS site was launched in 2012, but the mobile casino is brand new and will, for now, be nestled in the confines of the DraftKings Sportsbook app in New Jersey. You can’t beat DraftKings Casino for its $35 in casino credits just for signing up. No casino operator can top this and it is great for New Jersey players. New players at DraftKings NJ casino can get $35 free just for signing up. The $35 is automatically applied to your account and can be used on any of the casino games available. Download the DraftKings Casino app to get started! DraftKings Casino may have a tiny game library but it still packs a punch in the NJ online gambling market. Nestled in the leading DraftKings Sportsbook app, it already features slots, video poker, and live dealer games, putting it on par with some of the top online casinos. So what it lacks in quantity, it makes up for in quality. Don't expect DraftKings Casino to rest on its laurels either. All gaming is fair and reliable at the DraftKings’ mobile casino. 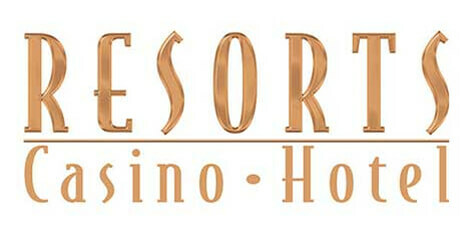 The casino is powered by providers that are among the best in the business worldwide. The responsive design ensures all the elements of the website fit on the screen of your tablet or smartphone. You can play at this mobile casino from either the Android or iOS platform. 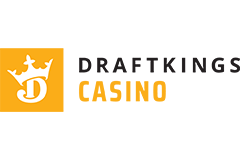 Since the casino is embedded in the sportsbook app, all you have to do is download the DraftKings Sportsbook app to your mobile device. You can download from outside New Jersey, but you have to be in NJ to play. The game range is quite limited at the DraftKings’ mobile casino for now, but the casino is going to ramp up rapidly. The games currently available are all fair and secure. You can access them any time directly from your mobile device — even on the go. There are five games currently at the site: blackjack, roulette, video poker, and two fantastic slots from IGT. DraftKings launched live dealer games on its sportsbook app just a week after partnering with Evolution Gaming. The live dealer studio is based out of the Hard Rock casino in Atlantic City and is separate from the one used by Golden Nugget and Betfair online casinos. Because live casino games use dealers in a studio, the Draftkings live dealer casino has limited hours of play, 11 a.m. to 3 a.m. daily. You can access the live dealer games from the “Casino” tab on the app. Play casino games at DraftKings in NJ! 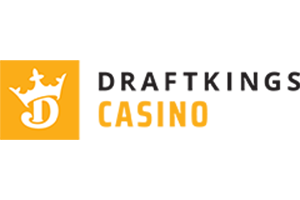 DraftKings’ mobile casino keeps your personal information and money completely secure. All of it is protected using the latest in digital security, including firewalls and high-end SSL encryption. Deposits are instant, but withdrawals take longer. PayPal withdrawals take up to eight days to reach your account after the request has been approved. Withdrawals through check take much longer, anywhere between two to three weeks. Customer support at the site is excellent. There is an FAQ section that you can check out, and you can also contact a member of the support team through live chat and email. $35 free just for signing up.